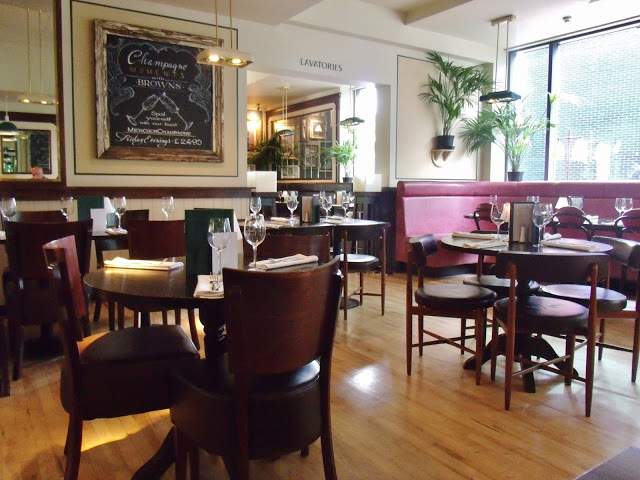 Last weekend I was invited to try out the new summer menu at Browns Brasserie & Bar in Milton Keynes, and I took both of my parents along with me (they deserve a treat once in a while!). We went on a Saturday afternoon, and when we arrived we were shown to our table at the back of the restaurant. 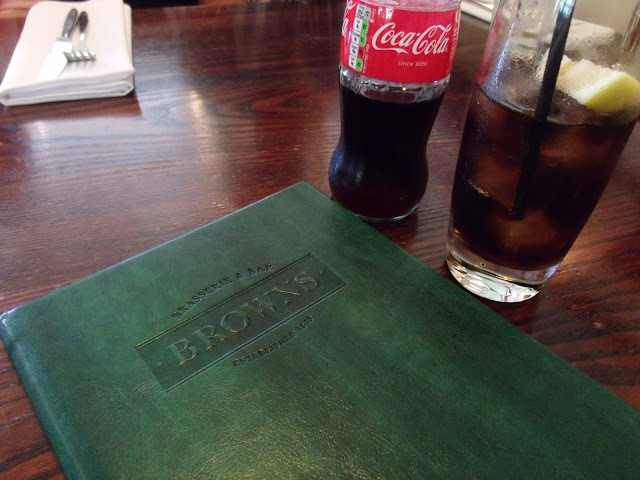 I’d never been to Browns before, so I wasn’t sure what kind of place it was, but I was pleasantly surprised. 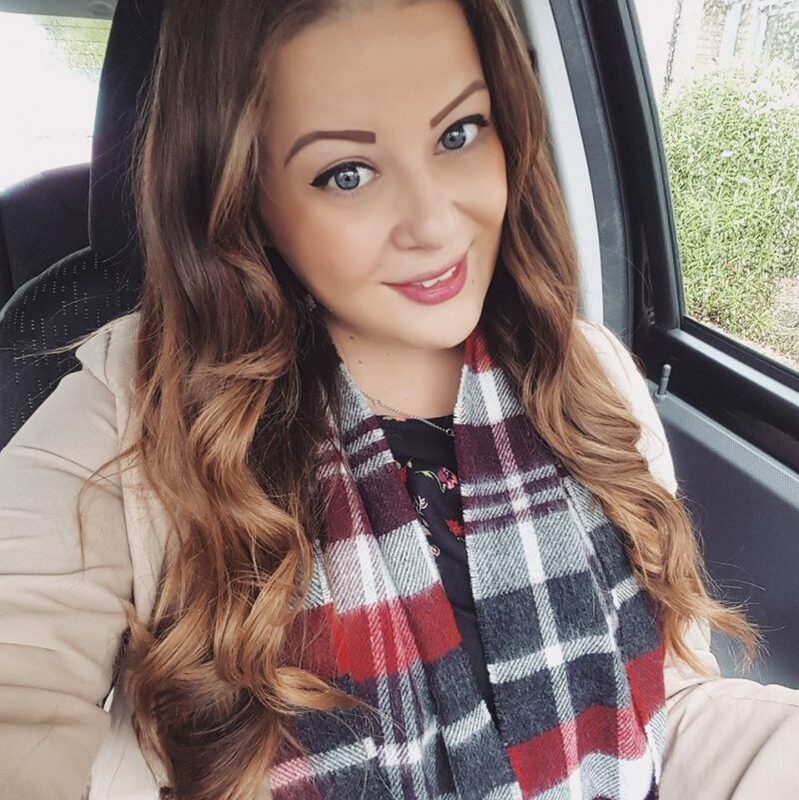 It’s definitely more of a restaurant than a bar, and they even serve afternoon tea! 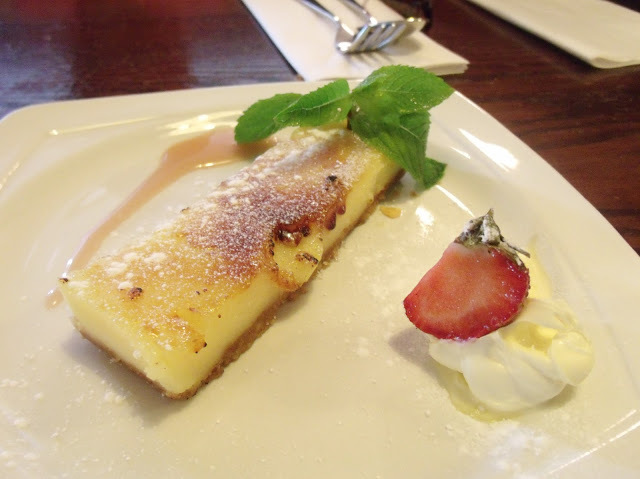 Their summer menu is filled with tasty options and there’s something to suit everyone. 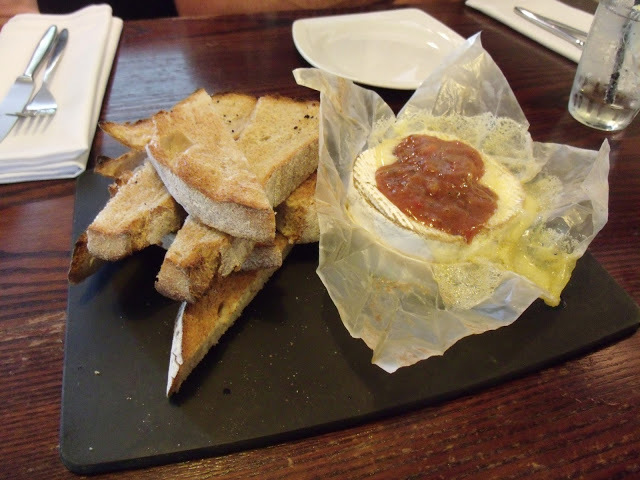 For a starter my Dad and myself shared the boxed baked Camembert, which came topped with a rhubarb and tomato chutney and a side of sourdough soldiers. I absolutely love Camembert, and the chutney went with it beautifully! 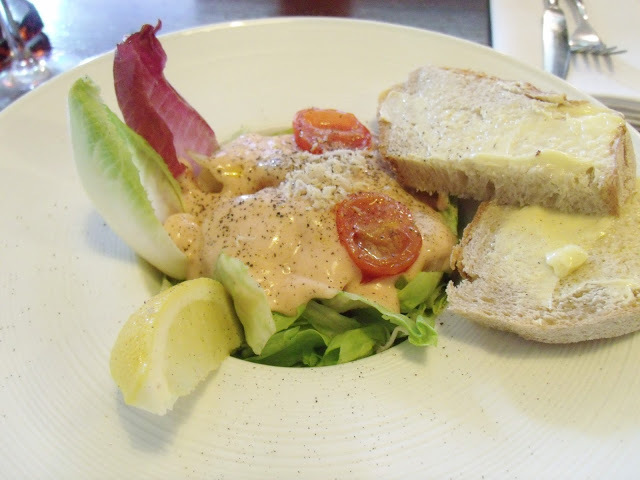 My Mum enjoyed her prawn cocktail salad, which same with a lobster infused sauce and more sourdough bread. She also had a glass of white wine with her lunch, whereas I had a lovely cold glass of Coca-Cola, which was very welcome as it was such a warm afternoon. 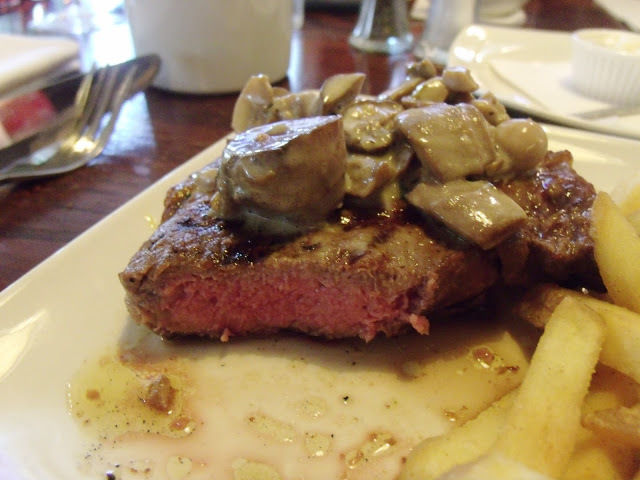 For my main course I was set on having a delicious juicy steak, and I chose to have the 8oz sirloin with a mushroom sauce. 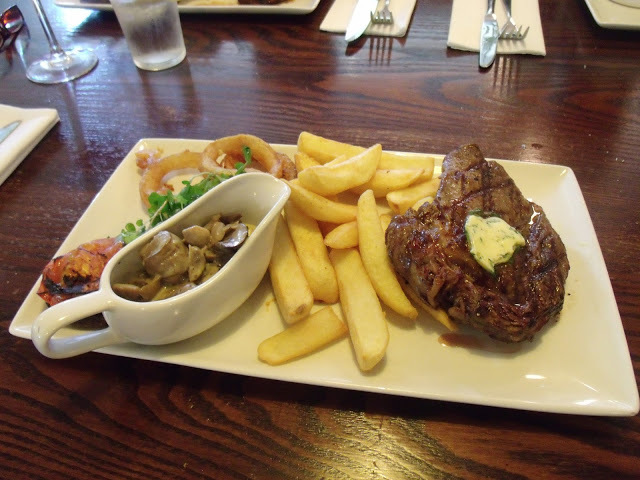 It was served with chunky chips, onion rings, mushrooms and a tomato. It was honestly the best steak ever and I could eat it everyday! The sauce I picked to go with it was delicious and creamy and the whole meal was perfect. 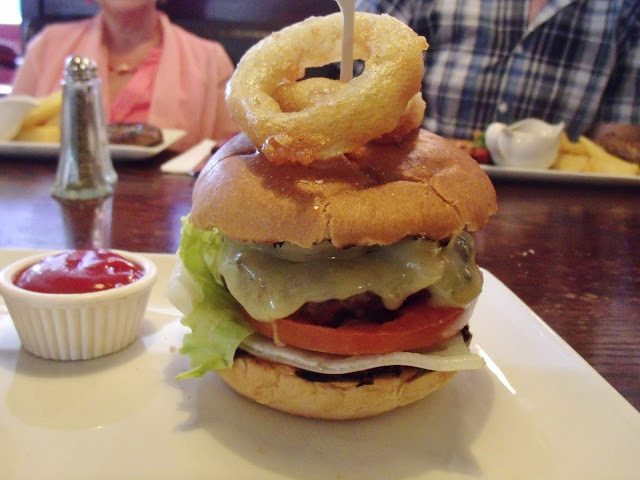 My Mum had the same as me, whereas my Dad opted for the Browns Burger; a beef burger served in a sweet brioche bun with onion rings, cheddar, smoked bacon, mustard mayonnaise, lettuce, tomato, pickle and fries. His skinny fries was delicious, although I think he wished he picked the steak too! And finally, we all decided to be piggies and have a dessert each, and we all picked something different. 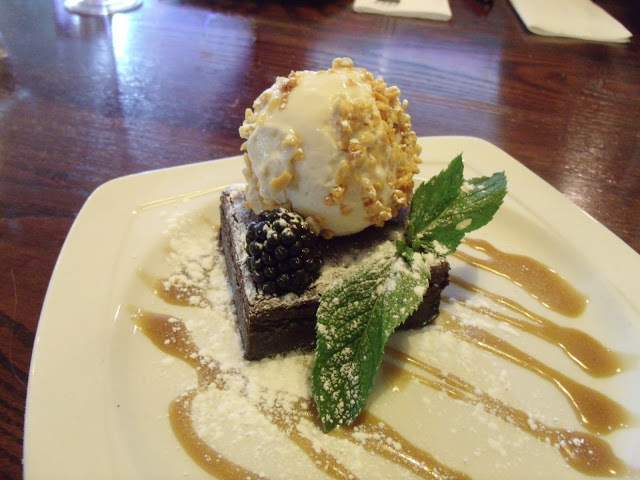 I had the bitter chocolate brownie, which came with a lovely malt ice cream which was rolled in honeycomb bits. It was probably a bit rich for me and not very gooey, but I loved the ice cream! My Mum had the caramelised lemon tart with rhubarb syrup and clotted cream, and my Dad enjoyed the Great British mess, which was a plate of clotted cream custard, meringue, strawberry compote and scone pieces.. it was yummy! Overall we had a lovely afternoon at Browns, and the food was brilliant. I definitely want to try the afternoon tea next time! Thanks for having us Browns.. we’ll be back! Ooh this place looks fab. I'll keep it in mind for when I'm next in MK! Those desserts look to die for! Yum.